Here’s the notes for episode #217 of Well-Fed Women. Be sure to check back every Tuesday for a new episode, and head over to Apple Podcasts or Stitcher to subscribe! 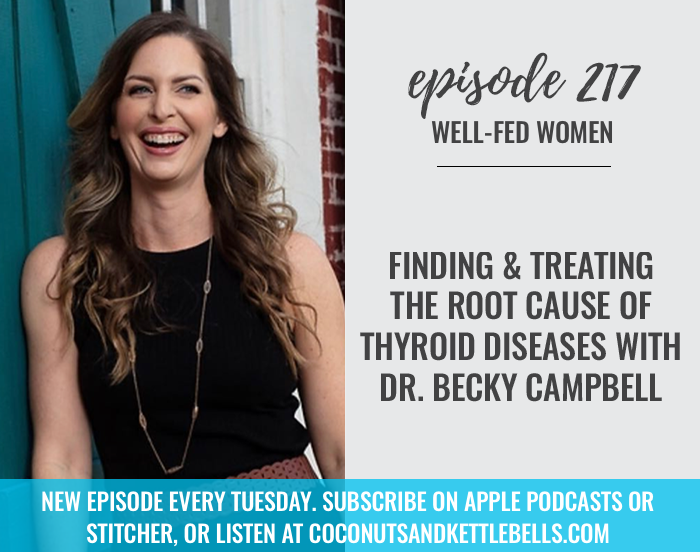 In this episode, Noelle and another Well-Fed Woman Dr. Becky Campbell discuss finding and treating the root cause of thyroid diseases. The link to the Ultimate Thyroid Guide is broken. Can that be fixed?